If you’re a hobbyist or the owner of a small business, then there’s a tremendous opportunity waiting for you online! As more and more consumers shop online, having your own online store is becoming increasingly more important. Not only does this mean your business can be open and visited 24 hours a day, 365 days a year, you’re also reaching out to an enormous online customer base you wouldn’t otherwise get in contact with! Are you ready to sell your idea to the masses? Make use of our webshop feature; it’s absolutely free to use and have, so what are you waiting for? The idea of setting up a web shop can be a daunting one. Not with SimpleSite! Similar to the ease of our website builder, there’s no need for any technical knowledge – we’ve taken care of that part for you. Our setup truly is quick and easy, so you can launch your business website including an ecommerce solution within minutes! We provide you with everything you need to start selling and impress your customers, so you can take the online market by storm. Making use of our web shop is absolutely and completely free to try out and have (for up to five items). If you would like to have more than five products in your store, you can of course upgrade to our PRO subscription, which enables you to have UNLIMITED products in your online store. But if you can manage with five products, then having an online store with us is completely FREE. 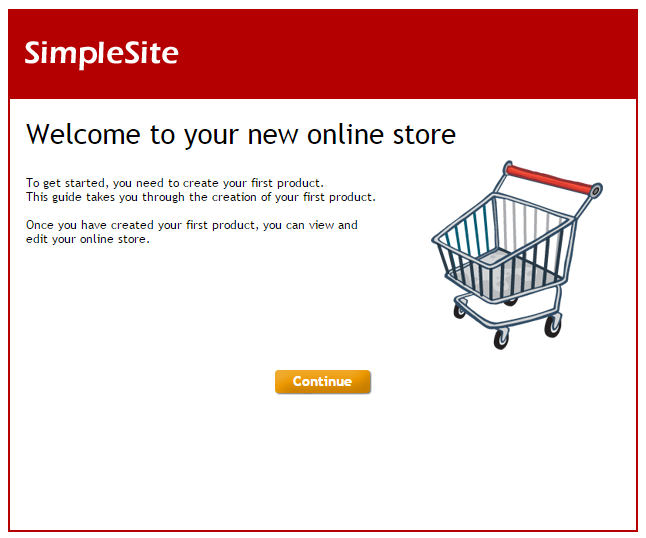 To get started, simply add a webshop once you’re created your own SimpleSite (you can make your own free website here). This will immediately start the setup of your online store –don’t worry, we’ll guide you every step of the way! You’ll be guided through creating your first product, so you instantly learn how straightforward it really is to create and add a product to your shop. You can add your product name, price, description and of course an image. 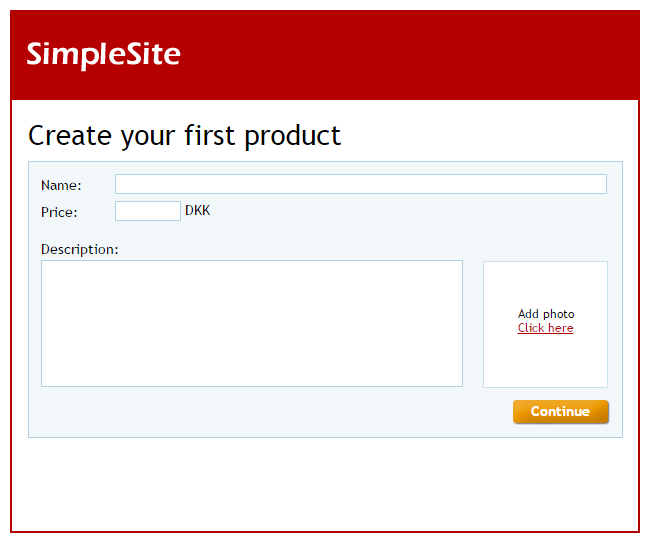 As soon as you save, your product will be online and your web shop can already be found on your SimpleSite. Once you have created your first product, you can view and edit your online store. You can for example start adding general information to your web shop (such as name, address and contact information) so your customers know what your store is called and how to best reach you. You’ll be able to find an overview of your orders and products, so you can see how your business is doing within a glance; managing your orders has never been simpler! Shipping and delivery information can be customized, as well as the confirmation email your customers receive when purchasing a product, so you can add your own personal touch to your online store. A web shop made through SimpleSite is of course perfectly safe; we offer a secure shopping card as well as a protected payment solution. This ensures both you and your customers’ are safeguarded when placing an order in your store. Online payment is done via PayPal, supporting all major credit cards. And finally, you can of course turn your webshop on and off on your website whenever you like. So what are you waiting for? 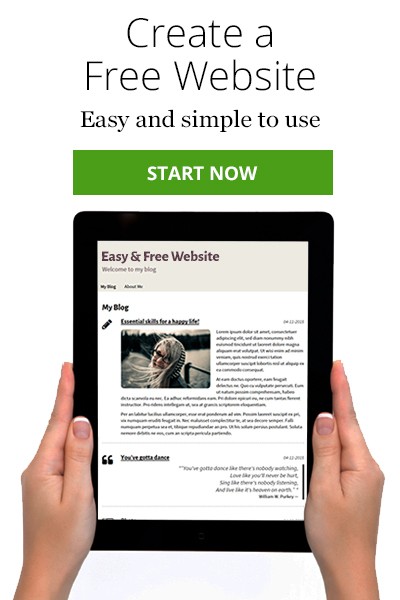 Create a website with your own FREE online store and start selling today!